The Lunar New Year celebrations may be the largest global festival. A billion Chinese, plus people of Chinese descent as well as other Asian countries and communities around the world follow age-old practices to ensure another year of good fortune and prosperity. Lunar calendars have the New Year falling on different dates in February or March and celebrations take over small communities and Asia's largest urban centers. BestTrip.TV was lucky enough to be filming in Hong Kong during Chinese New Year. Here's how we - and you – can get into the spirit of the Lunar New Year. Colors have strong associations in Chinese lore, and red is one of the best. Red is the color of good fortune. The more of this hue in your life as you welcome another year, the luckier you'll be – or so they say. That's why you see so much red associated with Chinese culture, and especially at Chinese New Year. Seasonal markets are laden with items in red and other auspicious colors and significance. Do as we did: pack your red dress, or tie or pocket square (we even heard there's special red CNY lingerie) to wear to celebrations to draw that good fortune towards you for the coming year. Gold/yellow is associated with royalty and status, so it's no surprise it's often paired with red as the most auspicious color combination. Don't hold back on gold jewelry! I admire the practical aspect of conscientious housekeeping in one CNY tradition: sweeping away bad spirits and luring good spirits into your home with a good scrubbing. Then double down on your good fortune in the coming year by decorating. You'll see endless red banners and lanterns of course, bouquets of red flowers. 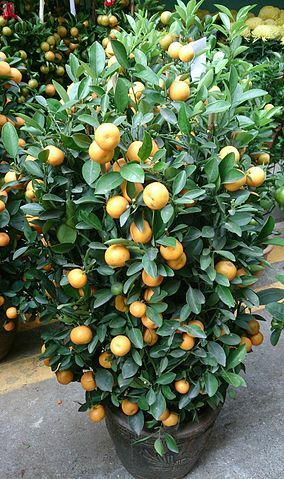 But keep your eyes open for one other charming practice: bringing orange, tangerine, or their miniature version, kumquat trees into the home. This tradition is said to have evolved from a play on the words for orange and tangerine sounding like the words for luck/prosperity. Exactly what you're looking for on CNY. In addition, their yellow/orange color also resembles gold. In compact homes and apartments, a potted, table-top kumquat fits the bill. In larger public spaces, restaurants and grand hotels, pairs of elegantly potted, sculpted orange or tangerine trees flank entryways during Chinese New Year. Sometimes, you'll see red envelopes with gold letters and trim tied to the branches of those orange trees. 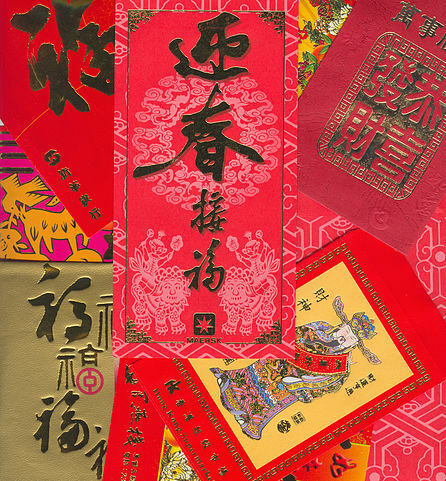 Enclosing gift money in red paper is intended to bestow extra wishes for good fortune on the recipient, so the cultural significance of the red envelopes is the red paper, which amplifies the value and blessings of any money inside. 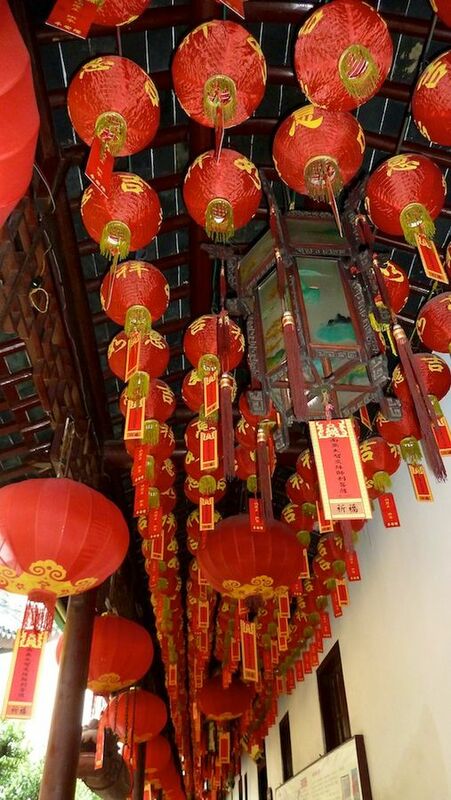 For that reason, if you are fortunate enough to receive a red envelope, you accept it ceremoniously with both hands and do not open until later. Red envelopes are exchanged among family members, but employers often use the last day before CNY holidays as an occasion to thank and share best wishes with employees. When we were lucky enough to be visiting Hong Kong during Chinese New Year, and our hosts kindly offered us lai see, we felt very touched to be included almost like family. While many Lunar New Year practices attract good spirits, it's equally important to keep the evil ones away. According to folklore, loud noises are ideal to scare away evil spirits. That's become a tradition of setting off fireworks. People go to markets and buy vast quantities of individual fireworks, and CNY community fireworks extravaganzas have become legendary. Hong Kong's CNY fireworks take place over Victoria Harbour with its spectacular skyline backdrop. Take a look at the video at the top, you'll be breathless too! Any day is a good day when you get to experience a playful, whimsical lion dance. They wink and flirt shamelessly with the crowd… and naturally bring good luck and fortune at Chinese New Years. The lion's movements are performed by a two person team head and tail and have their roots in martial arts. 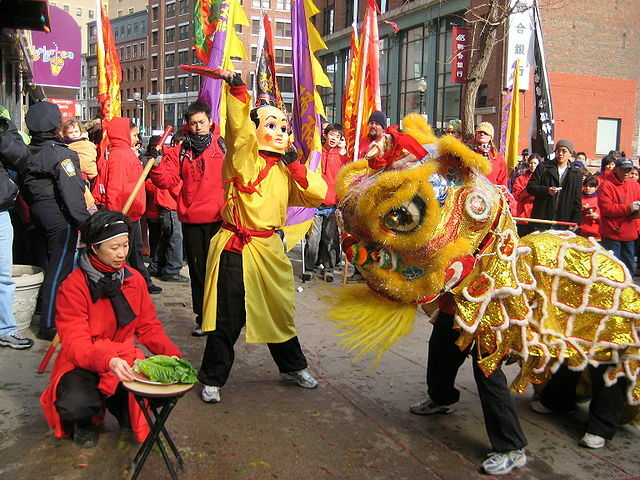 Some include a sequence to 'pluck the greens': performing amazing feats of performance and athleticism to reach an auspicious bunch of lettuce tied with a red envelope that's dangled in front of the lion like a lure. These were our experiences in Hong Kong, and there are many other Lunar New Year celebrations to explore in China, other South-East Asian countries, and their communities around the world. Make sure you have good fortune in the coming year by joining in!